Heterogeneous integration of microsystems has been studied in Micro System Integration Center (μSIC) in Tohoku University. The μSIC has Hands-on access fabrication facility since 2010. It is a reuse of a production line for power transistor and donated equipment. Companies can easily access and utilize for their prototyping or small-volume production. It is equipped with 4 and 6 inch facilities. The users are charged depending on their amount of usage. They can access a lot of technology and know-how accumulated and can be assisted by skilled engineers. More than 150 companies are using the facility and it is allowed to sell produced small volume devices. MEMS Park Consortium (MEMSPC) was established in Sendai in 2004 to promote industrialization of MEMS devices. The MEMS Engineer Forum (MEF) has been sponsored by the MEMSPC. Other activities are annual MEMS intensive course for MEMS engineers, Sendai MEMS show room, MEMS training course, International Contest on Application of Nano-microtechnologies (iCAN), international collaborations with Fraunhofer Institute (FhG) in Germany and Interuniversity of Micro Electronics Center (iMEC) in Belgium and so on. The MEMSPC supports a contract development of MEMS in MEMS Core Co. Ltd. and also a contract production in Advantest component Co.Ltd.in Sendai area. Masayoshi Esashi received B.E. and Dr.E. degrees in electronic engineering from Tohoku University in 1971 and 1976, respectively. 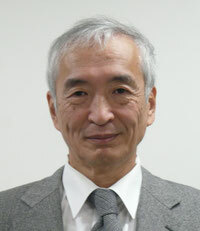 He served as a research associate from 1976 and an associate professor from 1981 at the Department of Electronic Engineering, Tohoku University. Since 1990 he has been a professor and he is now in The World Premier International Research Center Advanced Institute for Materials Research (WPI-AIMR), concurrently in Micro System Integration Center (μSIC)(director) and Center of Innovation (COI) in Tohoku University. His research interests include MEMS, integrated sensors, micromachining technology and MEMS packaging. He was awarded Purple Ribbon Award (2006), IEEE Andrew S. Grove Award (2015) etc.